Photographers around the world can finally celebrate. A simple, easy solution exists where photographers can sell their digital files, increase their sales, and improve their bottom lines—all while maintaining their integrity as artists. 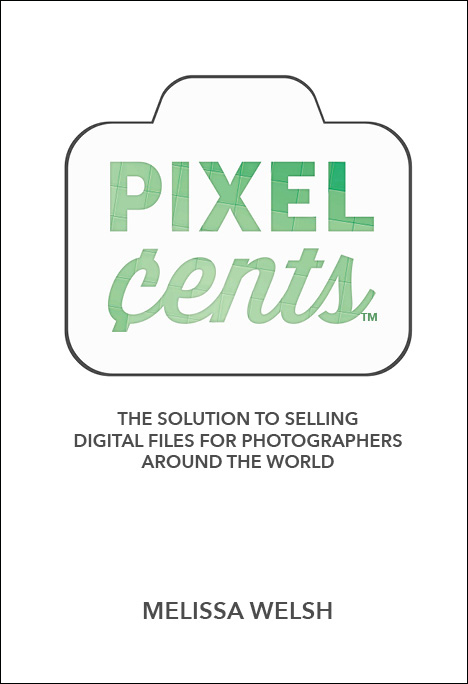 Pixel Cents is the solution for all those photographers struggling with the best way to sell digital files. It has the answer for those long-time pros who are wondering if they should be selling files in their portrait business; and is the answer for emerging pros who are wondering how to make a living in this business. This book begins with a brief explanation of how photographers have run successful, profitable companies in the past. It then outlines the changes photographers need to make in our business practices to make sure that being a professional photographer continues to be a prestigious and rewarding way to make a living. And finally, it provides a mathematical formula for assigning a value to digital files – whether they are being sold to portrait clients for personal use or a local business for commercial use. Photographers can increase their sales, improve their bottom lines and sell their digital files all while maintaining a sustainable photography business and their integrity as an artist. Let Melissa show you how. Get more info and enrol! Take your photography business to the next level!